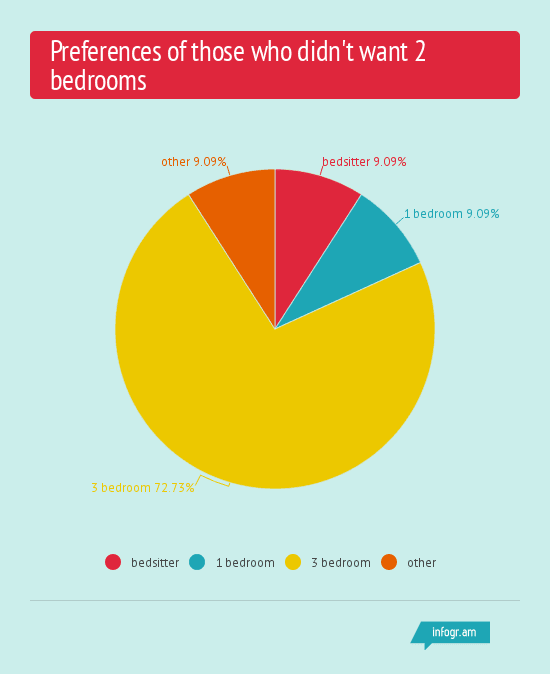 A survey done by yours truly has found that 2 bedrooms are the most popular units in Nairobi. 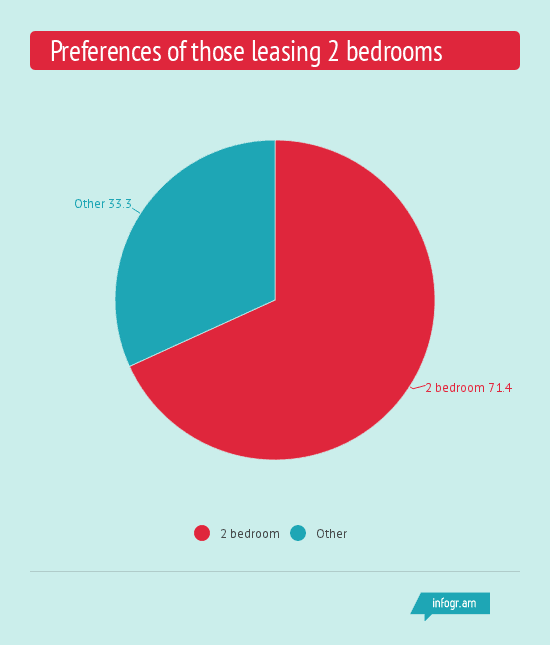 Of 43 respondents to my survey, just about half of them at 48.8% were renting 2 bedroom units. The story, however, is in 3 bedroom rentals. While these come third in terms of preference at 18.6% after self contained 1 bedrooms at 30%, there indeed is a shortage of 3 bedrooms in the city. Rather, there is a mismatch of demand of 3 bedrooms and supply of the same. The devil in the details is in the people leasing 2 bedrooms. A separate survey shows that while 71.4% of people leasing 2 bedrooms were interested in 2 bedrooms, 33.3%, or about an entire third settled on 2 bedrooms out of lack of their preferred units. 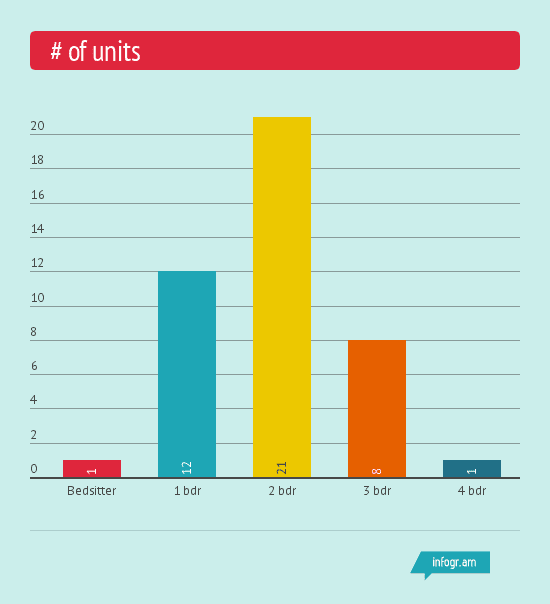 Of the 33.3% that settled on 2 bedrooms, 72.7% were interested in 3 bedrooms while the rest were equally interested in the rest of the units. What my survey shows is that there is a 21% shortfall in the supply of 3 bedrooms - in simple language, 1 in 5 people leasing a 2 bedroom is actually interested in a 3 bedroom unit. Or, for every 5 two bedrooms that are being put up, 1 needs to be a three bedroom instead. Absent from my analysis, however, is why there is a mismatch in the supply of three bedrooms. This may be due to an actual physical shortfall in three bedrooms, or due to a pricing issue, or due to three bedrooms being in places that those interested in did not want to move to. Only way to find out the true reason is by conducting another survey on those living in 2 bedrooms, but interested in three bedrooms. If you missed my first piece on how much Nairobi residents pay in rent, then you can click here to read it.